These are used contaminated medical waste disposal in sterilizer and incinerator. These bags have highest melting point. Autoclave Bags will not melt, even in superheated vacuum sterilizers reaching up to 285°F/141°C. 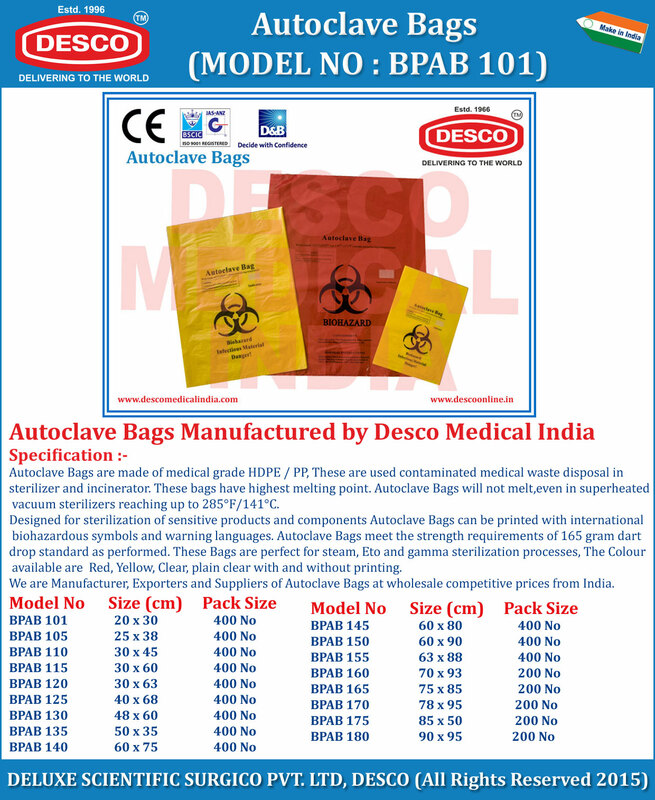 We are Manufacturer, Exporters and Suppliers of Autoclave Bags at wholesale competitive prices from India.